We’ve been to “The West’s Most Western Town” a number of times and love everything that Scottsdale has to offer. 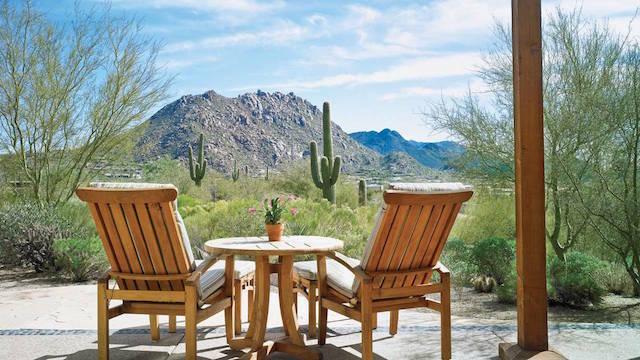 The fun people, the great restaurants, the rockin’ margaritas, the luxurious spas… and who can deny the majestic sunrises and sunsets and our favorite — the saguaros lining the desert landscape! Desert Botanical Garden is the stunning Sonoran Desert backdrop for 8,000 hand-lit luminaria bags that bring the holiday cheer to light, literally. The gardens will also be illuminated by the artwork of “Bruce Munro: Sonoran Light.” Luminarias will be aglow Nov. 27 through Dec. 31 and Bruce Munro’s installations can be seen November 2015 through May 2016. Tickets are $25 for members and $30 for the general public. While you’re there, check out Munro’s other installations throughout greater Scottsdale at Scottsdale Museum of Contemporary Art, the Scottsdale Public Art’s commission in the Arizona Canal and Lisa Sette Gallery. This year marks the 14th season of Native Trails, presented by Fort McDowell Yavapai Nation and produced by Scottsdale Center for the Performing Arts. Through song, dance and storytelling during free performances, Native Trails shares a message passed on to tribal youth – the importance of preserving and conserving the land and its resources and being in harmony with nature. Enjoy these free noontime performances on the lawn at Scottsdale Civic Center Park most Thursdays and Saturdays between Jan. 9 and March 31. This year’s theme is centered on a message of stewardship featuring songs and dances of various tribes including the Hopi, Diné (Navajo), Akimel Au-Authm and San Carlos Apache. No, not THAT club! But it’s a party nonetheless. Starting this month, Kierland Golf Club is hosting a new event series that kick-offs the weekend each Friday night from 5 to 7 p.m. (through April). Kids can attempt SNAG golf, a game that teaches the basics of putting, chipping, pitching and full swing. Meanwhile, you, the kid-at-heart, has access to the driving range, while sipping cocktails. Get ready to win against your friends when you return home by taking advantage of short putting and chipping clinics led by Kierland Golf Club’s team of instructors or indulge in a few rounds “Margarita Putting,” where you’ll putt a lime to win a margarita. How fun is that?! Admission to the event is $10; children under the age of six get in for free with a paying adult. 4. Salute the Cowboy! Y’all, it’s the Cowboy Artist of America’s golden anniversary. Which means that Western Spirit: Scottsdale’s Museum of the West is paying homage to the. The organization has been dedicated to preserving and perpetuating the culture of Western life in fine art for 50 years. Its newest exhibit – “A Salute to Cowboy Artists of America and a Patron, the Late Eddie Basha: 50 Years of Amazing Contributions to the American West.” The exhibit includes one painting or bronze of each of the 77 artists who have ever been a member of the organization, including John Coleman and Joe Beeler. The exhibit also honors the late Eddie Basha, a local businessman and philanthropist whose legacy included one of the largest privately owned collections of contemporary Western American and American Indian Art in the country. On display Nov. 5 through May 31. Admittance to the exhibit is included with your museum admission of $13. 5. Because food. Scottsdale offers some of the best culinary events in the country, and this fall is no exception. We’re all sort of worn out of the overused and often misused “farm-to-table” concept, but have you every enjoyed it actually ON a farm?! That is exactly what you can do at the traveling food event Outstanding in the Field Oct. 27 and 28, literally dining on the land where the ingredients of your meal were grown – The Farm at Agritopia. Chef Gio Osso of Scottsdale’s Virtu Honest Craft is at the helm Oct. 27 and Cullen Campbell of Phoenix’s Crudo takes over on Oct. 28. Tickets cost $195. Not up for the farm? No worries — you can indulge your foodie self at the Omni Scottsdale Resort and Spa at Montelucia for the inaugural Desert to Dish event Oct. 22-24. The resort is working in partnership with the James Beard Foundation to provide a true farm-to-table dining experience from six renowned chefs from across the country, including Omni Scottsdale Resort’s own Executive Chef Michael Cairns. Tickets for the event are $125. Scottsdale resorts are “Decking the Halls” this season all across the city. From Nov. 19 through Jan. 3, the Fairmont Scottsdale Princess transforms its grounds with decorations, festive trees and even an ice rink for its annual “Christmas at the Princess” extravaganza. The Phoenician lights up its gardens with a glistening holiday display, falling snow and tethered hot air balloon rides during the month of December. And Four Seasons Resort Scottsdale builds and entire gingerbread village where you can enjoy complimentary hot roasted chestnuts and steaming hot apple cider. For more holiday events in Scottsdale, check out www.ScottsdaleHolidayExperience.com.